The Detroit-Superior Bridge, almost a mile long, is one of the most prominent features of Cleveland’s urban landscape. Built in 1918, one of the heaviest used thoroughfares, connecting Ohio City and downtown Cleveland. The bridge’s lower level, built for street cars, has been abandoned since 1954. It is a vast, cathedral like space that includes subterranean subway stations at either end. 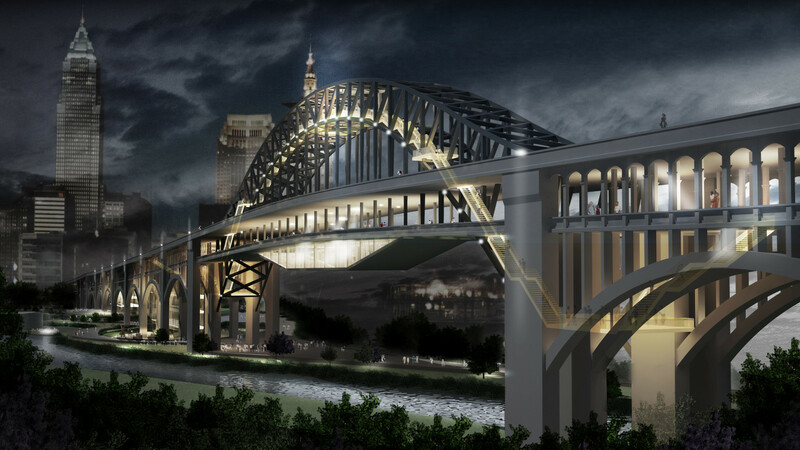 An open-air span over the river provides unmatched views of the downtown skyline, the city’s industrial valley and Lake Erie. 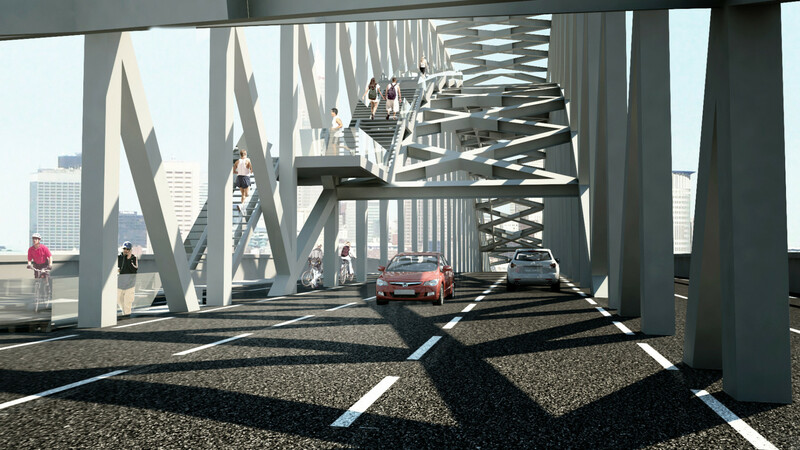 The two ends of The Bridge include vestiges of the former streetcar stations including stairwells and tunnels, colonnades and waiting spaces and segments of track. 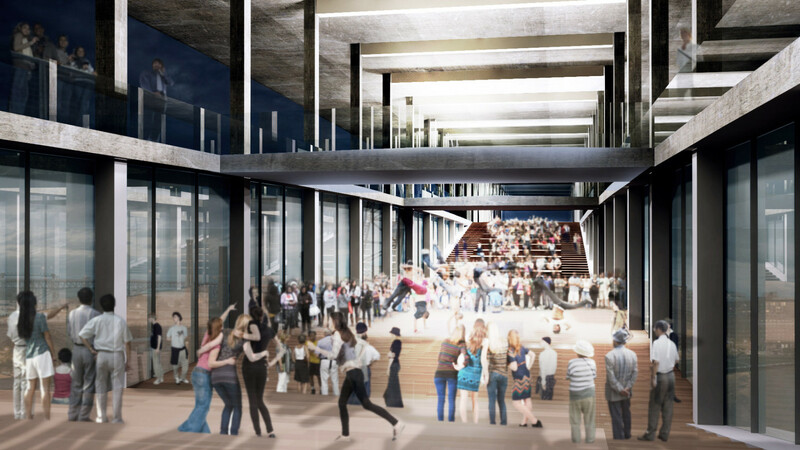 The lower level currently opens several times a year for tours and large-scale, weekend-long performance and arts festivals. 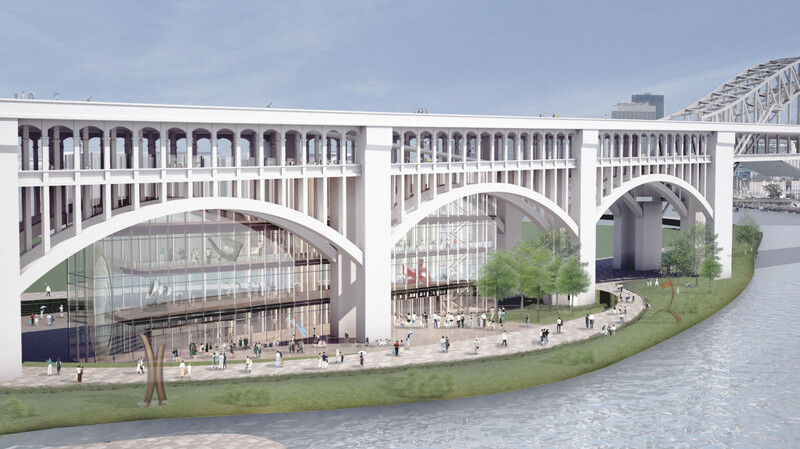 The Bridge offers tremendous potential for use as a dynamic public space, performance venue, and sheltered bicycle/pedestrian connection over the Cuyahoga River. 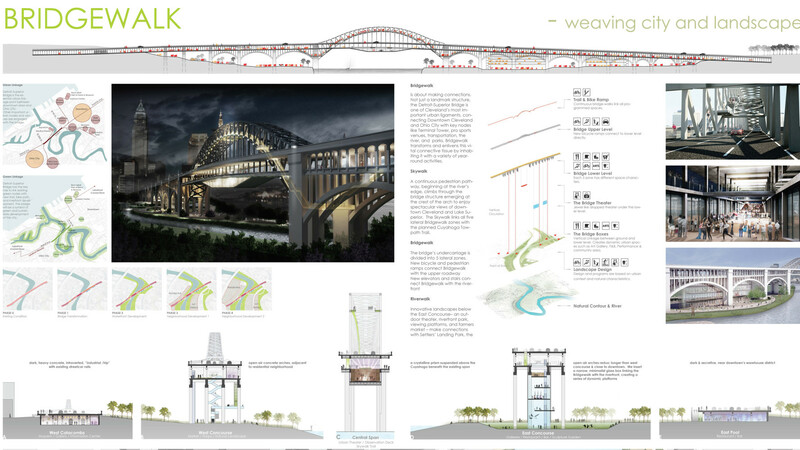 The competitions calls for designs that provide creative place-making in Cleveland and provide innovative ideas for a world-class public space, offering compelling visions for the permanent use of The Bridge, public access into and passage through the lower level of The Bridge, and connectivity to surrounding neighborhoods.